Virginia’s new mandatory ultrasound law for women undergoing abortions has galvanized women of all ages in the state who oppose it. The controversial bill also prompted protests this winter. several hundred people gathered in Richmond this weekend to rally not only for pro-choice, but for equal pay and equal access to affordable health care. Virginia women are fighting legislation at the state and national level they consider an attack on women’s equality. About three hundred women, children and men rallied in Richmond this weekend to give voice to their concerns. Some women worry about affordable birth control, while others want their paychecks to mirror their male co-workers’. “We’re here because women are angry and we’re tired of being treated. We’re tired of being second class citizens. And it’s time for that to change, systemically in throughout the culture in every way possible. Through an equal rights amendment, through equal pay, through birth control. All of it. Through protection against domestic violence. We demand to be treated as full fledged citizens of this country,” said Victoria Bragunier with Richmond NOW. Women involved in Saturday’s rally say their concerns aren’t likely to go away anytime soon. In contrast, the new law’s supporters say the ultrasounds are modern, state-of-the-art technology that could help women make fully informed decisions. A giant facility in Culpeper, Virginia, is collecting and preserving the largest assortment of audio, video and film recordings on the planet. Rebecca Sheir journeyed to this special branch of the Library of Congress and brings us this story. Fans of rail travel in Virginia are heaving a sigh of relief, now that the state has come up with the cash for trains running from Lynchburg, Richmond and Norfolk to Washington, New York and Boston. Lawmakers approved nearly $55 million to support regional service. It may sound like a lot for intercity train service in Virginia, but advocates of rail travel say that’s what it costs to build a few miles of road. They point out that travel by train is environmentally friendly and helps relieve traffic congestion. In addition to supporting current services, the latest funding will allow service between Norfolk and Richmond – then on to Washington — beginning at the end of this year. Critics say the state has yet to identify an on-going source of revenue to pay for rail service. Possible sources include a new tax on rental cars, higher license plate fees, automobile sales tax and fees charged to truckers, based on the weight of their vehicles. Amtrak rider­ship in Virginia exceeded 1.3 million trips for the first time last year, and Virginia had the best performing state supported route in Amtrak’s system. On a few days, more than 20,000 people rode the rails, and the state added a connector bus between Lynchburg’s train station and downtown Roa­noke with demand far exceeding expectation. Virginia businesses celebrated Earth Week by sharing ideas to make their companies more eco-friendly. The entrepreneurs say they would like to save money and also please customers at the same time. Business leaders gathered in Richmond to talk sustainable practices. Smithfield Foods was among the participants. The company was once a serious polluter but over the past decade, it has incorporated sustainable practices from the board room to its processing plants. Dennis Treacy leads the meat processor’s efforts and says the changes can improve a company’s bottom line. “Projects that both make the environment better and save our company money. I’m pleased to say that we have done an extraordinary job there and saved the company more than $200 million over eight years,” says Treacy. Environmentalists like Bill Street with the James River Association say that just holding the business roundtable is evidence that going green has gone mainstream. “And now we see it moving into the mainstream. It’s really being driven by the public and by customers and consumers. These issues are really getting a lot more attention and focus. And I think that’s really a positive thing,” says Smith. Business leaders who attended the roundtable also said that more regulations aren’t the answer. The mother who pushed for the passage of a school epinephrine law signed by Governor McDonnell says her work is not complete. Laura Pendleton says that although her daughter Ammaria was only seven years old when she died from an allergic reaction in school, she had a plan for each stage of her life. Pendleton still mourns her daughter’s death but plans to honor her life by advocating for better emergency planning in schools. She says that while school officials scrambled to assist her daughter in January after another child gave her a peanut, a simple epipen would have saved time—and Ammaria’s life. Pendleton had provided an emergency plan for school officials to administer Benadryl if Ammaria came in contact with peanuts since school policy prevented them from using an epipen. Sixteen to 18% of children with KNOWN food allergies have reactions while in school. But 25% of reactions in schools occur in students who are previously undiagnosed. For this reason, Pendleton wants national legislation passed to address this. “So no mother has to go through what I went through. And even children who don’t know they have allergies, or not even necessarily a food allergy, it could be a bee sting or anything, any type of allergy. They will be prepared,” says Pendleton. The new law signed by Governor McDonnell requires epipens to be stocked in each school, while the budget provides funds to pay for them. New guidelines must be implemented for the 2012-2013 school year. Virginia leaders are using this weekend’s NASCAR race in Richmond to promote environmental stewardship and to say that the state is on board with using alternatives to help cut costs. The event also confirms that the technology to create more fuel-efficient vehicles for the consumer market is more advanced than some may have thought. Millions will witness the first ever fully electric pace car in a NASCAR race. Lt. Governor Bill Bolling helped unveil two vehicles at the State Capitol just before delivering them to the Richmond International Raceway. A NASCAR official says the electric Ford Focus, which is priced at nearly $40,000 , meets all the rigorous specs of other pace cars, but it’s fuel efficiency is the equivalent of 110 miles per gallon. While Bolling says this cross-promotion adds to the already successful race, which brings millions in revenue to the state, it signals new technology and savings. “You know one of the reasons that we’re trying to move in state government to have more environmentally-conscious requirements in construction of buildings and conversion in our own state fleet is in large part, those two things: it saves money on fuel but there is also an environmental consciousness that is a part of it that is important. And I think we’re going to see as these technologies improve, that the cost of the products over time will be coming down,” says Bolling. The vehicle does not appear to be ready for broad consumer purchase. A Ford spokesperson says the cars are primarily commercial vehicles. A first-in-the nation statewide drive to collect food donations through local Chambers of Commerce will kick off on Memorial Day. 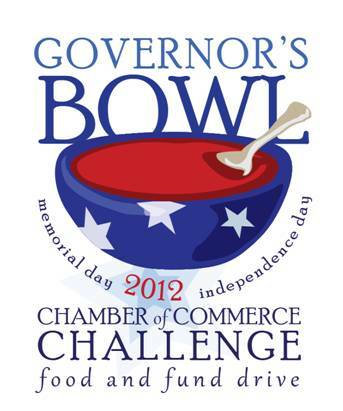 The “Governor’s Bowl” will allow businesses and state agencies to compete for special awards given to the organizations that collect the greatest amount of food and cash donations. Governor McDonnell said in the last six years, demand at Virginia’s food banks has increased by 54%, while there’s been a 50% decline in contributions statewide. “Too many times we hear that businesses are only interested in profit and not interested in people. But I assure you that the CEOs and the business people that I know—small and large businesses across this Commonwealth—are interested in the lives of those people who work directly for them and those in the community who are less fortunate,” said Virginia Chamber of Commerce President Barry DuVal. Scientists know that an excess of nitrogen and phosphorous is damagin the Chesapeake Bay – and they know it’s coming from sewage treatment plants, farms and urban runoff. What they don’t know is how changes in human behavior and climate will impact the bay. The University of Virginia came up with a computer simulation to answer those questions – but there are so many possible scenarios that it would take decades for the university to crunch all the numbers. Virginia scientists and engineers would like to forecast the environmental and economic effects of possible changes to agriculture, commerce and industry over the next twenty years for the nation’s largest estuary, the Chesapeake Bay, and IBM says it’s willing to help. The company oversees a network of volunteers in 80 countries around the world – people who lend their computers’ down time for use in solving community problems. Using about 2 million of those PCs, the university hopes to reach conclusions in a single year. “What we’re trying to do is determine via the simulation model which practices individual persons can adopt that will help reduce the flow of nutrients to the bay, so that we can not only restore the bay but sustain it for future generations,” says Systems Engineering Professor Gerad Learmonth. He points out the the findings could guide policymakers and the public – assuring that we do the most effective things in the years to come, and he says, this could help about 400 other waterways. The Computing for Sustainable Water Project relies on a mathematical model that simulates the actions of the 16.7 million people living in the Chesapeake Bay watershed. UVA hopes many of them will join the World Community Grid by downloading a free app to their personal computers. IBM says calculations are done automatically when systems are not in use. The process requires no time from volunteers, resists viruses, uses little additional energy, and does not affect computer speeds. The Virginia Retirement System will be undergoing major changes. Despite some objections to requiring local employees to contribute five-percent toward their retirement, lawmakers this week supported amendments by Governor McDonnell to fine-tune the plan. The reforms will replenish funds borrowed from the VRS and hold the state more accountable. “We had already included that provision in that same bill for teachers but had not included it for local government employees,” said Watkins. The new hybrid plan to combine defined benefits and defined contributions for new hires will take effect in 2014. It had mostly technical amendments. “The primary ones dealt with local governments and the availability of the disability plans and if the employees went on the hybrid plan, and even if the local government had their own disability plans that they would be commensurate in terms of the benefits with state plans,” said Watkins. As the Virginia General Assembly began working in its special budget session, Governor McDonnell showcased 13 energy-related bills that state lawmakers recently passed. The Governor and legislation sponsors gathered in the Science Museum of Virginia for a bill-signing ceremony. The bills were signed in front of a real-time electronic indicator changing by the second to depict the world’s growing energy demands. They include measures to allow more natural gas infrastructure expansion for economic development projects, promote development of renewable thermal energy, and include landfill gas in the state definition of renewable energy. Delegate Jackson Miller said renewable energy must become more reliable and affordable, so his bill incentivizes investor-owned electric utilities to invest in such progress. “Our public utilities can spend money for their renewable energy credits on research and development either with universities or the private sector. Not only will this help bring renewable energy up to speed—to the affordability and reliability that we need out of renewables—but it will also promote jobs—hi-tech jobs—in the Commonwealth of Virginia. It will also help promote and build our universities as some of these projects occur within our higher institutions of education,” says Miller. Yet another bill creates a fund to help convert the state fleet to alternative fuels. Republican presidential front-runner Mitt Romney has raised $2.7 million in Virginia so far in donations of at least $200—more than any other candidate. President Obama came closest, raising $2.2 million, according to federal election data and the Virginia Public Access Project. The close totals foreshadow an intensive season of fundraising and spending ahead of the November election. Four years ago, Mr. Obama won Virginia in part by outspending John McCain, especially in the Northern Virginia media market. Political scientist Bob Hollsworth says it will be critical for Romney to raise enough money to stay competitive in Virginia. Outside spending will also play a big roll in wooing voters this November. “So my sense is that the Romney campaign will not only raise a significant amount for the candidate personally, but that the super PACs that are not officially affiliated with the campaign are going to raise a ton of money. At the end of the day my sense is that a good portion of those dollars are going to be spent in Virginia as well. Virginia is going to be one of the five, six, or seven battleground states in this campaign. And for financial expenditures, we’ll be pretty close to what you might consider political ground zero,” said Holsworth. Presidential campaign spending will also affect Virginia’s competitive U.S. Senate race. Hollsworth says heavy spending by Romney would help out the Republican primary-winner who faces Democrat Tim Kaine. For many Virginians, the day will come where they will have to evaluate whether or not their loved one’s driving habits are a risk to themselves and other motorists. But it’s not easy to make that assessment, especially when the senior driver doesn’t think it’s time to put the license away and rely on someone else. AAA Mid-Atlantic is providing a free way for older Virginians to test their skills at home—and without fear that their license will be revoked if they perform poorly. AAA cites data revealing that for the next 20-years, more than 10,000 “Baby Boomers” will turn 65 each day. Other statistics indicate that Virginia is the 16th highest in traffic fatalities where a driver was 65 or older—with 134 of those fatal crashes in 2010 alone. But AAA-Mid-Atlantic spokesperson Windy VanCuren says those numbers are declining, and she attributes some of that to the tools on the Senior Driving website. “So you’ve got tools for the Seniors to test their reaction time, their flexibility, things that tend to deteriorate as you get a little bit older, and then you’ve got tools for the family members on how to approach their parents or loved ones when it might be time to change some of the driving habit,” says VanCuren. She says it’s very interactive, and can also be a proactive tool for those who aren’t quite Baby Boomers but may need to brush up on their skills and new laws. About 40 people rallied at the University of Virginia today to demand that the medical school stop using live cats to teach young physicians and paramedics how to insert a breathing tube into newborn infants. Dr. Ulka Agarwal stood outside the Rotunda talking with reporters about the campaign mounted by her employer – the Physicians’ Committee for Responsible Medicine. That group says the University of Virginia should adopt state-of-the-art technology to train doctors and first responders who may someday have to help a newborn baby, struggling to breathe. “They’re using cats to train the residents to treat humans, and you don’t have to be a doctor to know that the anatomy of a cat or kitten is very different from that of a newborn human, and now that there are lifelike simulators that simulate a newborn, there is just no excuse for still using cats and kittens,” said Agarwal. She was surrounded by about three dozen people who agreed. “I wanted to be there to show my support for the cats who have no voice, who are being mistreated and brutalized at the medical school,” said Stanardsville resident and cat owner Carol Bratton. From inside UVA’s Rotunda, pediatrician John Kattwinkel told the media that only three cats are involved, and they’re actually an excellent model for learning to intubate infants. He said the university uses two mannequins for preliminary training, but they’re not ideal. “The reflexes are not there, the feeling the tissues is not there, and it’s a tricky task and it has to be done in 30 seconds, and the mannequin certainly is not an adequate model,” said Kattwinkel. He says most universities had caved to public pressure rather than stand up for the best teaching techniques, and UVA’s staff veterinarian, Sandy Feldman, insisted the three cats used in training – Alley, Kiki and Fiddle — are anesthetized and do not suffer. “The day after they have this, we give them analgesics for pain, and we give them soft food to eat in case their throat is sore, and then this procedure is not done again for almost a year. These are three cats that we take very good care of, and we like to think that they’re helping us take care of innocent children that are in trouble. Some of these people come into this class. When they have to do this to a live animal, they can’t do it. They freeze up because they’re worried they’re going to do harm. Can you afford to have them freeze up when they’re treating an infant that’s in trouble?” asked Feldman. He said 500 people had trained on the cats since they were acquired in 2004, and he asked the public to put this situation in perspective. “What’s more important – three cats that are very well cared for, or your daughters and sons, your grandchildren?” He suggested animal lovers consider the plight of 7 million feral cats in this country – or the 3.5 million shelter animals euthanized each year, and Kattwinkel proposed they help raise money for development of virtual reality training, which would give health care professionals the real feel of inserting a breathing tube and allow for the permanent retirement of training cats. A new American Legislative Exchange Council study puts Virginia ahead of most other states on economic competitiveness and related policies. While some studies suggest the Commonwealth’s emphasis on budget cuts hurts its residents, it’s that very approach that gives Virginia the number three ranking in the “Rich States, Poor States” analysis. “The reason they chose Virginia was the education system, the K -12, the Higher Ed—all that played a part in it. Virginia Tech, the University of Virginia–all of our higher education schools, the community college system–John Tyler, Richard Bland is right there–the two year only junior college in Virginia, but the big thing—the big thing, was Virginia Right-to-Work,” said Ingram. The ranks of neighboring states ranged from 12th to 39th. Only Utah and South Dakota ranked higher than Virginia. Minorities comprise only a small portion of Virginia’s legislature—including 18 members of the Legislative Black Caucus—but the Minority Political Leadership Institute is now grooming its class of 2012 for public office. There to greet them and provide motivation during a luncheon was Lieutenant Governor Bill Bolling, who advised them to avoid the type of political discord that’s part of Washington politics. But the Republican Lieutenant Governor also addressed the lack of diversity within his own caucus. “The face of Virginia has changed dramatically over the course of the past couple of decades. So, as party, we’re always looking for ways to get our conservative principles and values in front of different ethnic groups and folks of different backgrounds and walks of life and encourage them to come into our party and hopefully make them feel at home in our party. And there are efforts where we’ve done a good job at that and there are efforts where we’ve not done such a good job at that,” said Bolling. There are more women in the current 2012 Minority Political Leadership Institute. Although GOP women serve in the General Assembly, Bolling would like a greater number to be elected. Virginia’s Wounded Warrior Program has launched an online pilot project to teach families of veterans how to help their loved ones adjust to civilian life. The “Family of Heroes” interactive simulation will also help relatives recognize and respond to post-traumatic stress disorder and other mental health challenges. The resiliency training was prepared in collaboration with the Virginia Department of Health. The initial project targets the families of 280,000 veterans in the state’s northwest region. But the Virginia Wounded Warrior Program’s Executive Director, Catherine Wilson, says plans are to expand it if the results are beneficial. “The program actually allows the family member to choose an avatar or a character and to engage in practice conversations with a family member who is a combat veteran, for example, that maybe experienced post-traumatic stress or some kind of post-deployment stress. And they give various different situations where the family member can learn to communicate with the military member that is just coming off of deployment. So it’s sort of a real-time, interactive conversation that without really being aware, it’s teaching new skills on how to communicate,” said Wilson. The simulation also teaches signs and symptoms, how to motivate the veteran to seek help, and where to go for assistance. The free online training can be accessed at: familyofheroes.com. Before reaching a budget deal, General Assembly members say they made concessions on both sides, to make the negotiations work. But they could not come to an agreement on transportation issues, which will now have to be tackled during the next session. The $85-billion budget gives state employees bonuses in December and raises next year if revenues hit targeted goals. It also adds $214-million to public education, and Prince William Senator Chuck Colgan says they fought for cost-to-compete funding, which is essential for his region. “We finally settled it for $28-million the first year subsidized and the second year $12-million however, the $12 million would be subject to an increase next year—we don’t know yet how much,” said Colgan. House Majority Leader Kirk Cox says they discussed it, but there was limited progress on toll mitigation for Hampton Roads and Northern Virginia. “Our position in the end was that we had great compromises in the big areas of K-12, Health, Higher Ed. We felt like it was sort of a last minute add-on. It simply buys down the tolls for a limited period of time, it really doesn’t take much money off the projects,” saids Cox. The budget also adds $44-million for Health and Human Services and $141-million for Higher Education. The full legislature will likely vote on the budget April 17th. Tired of Internet sexual predators slipping through the cracks, Virginia’s law enforcement agencies have united for Operation Phalanx, a first-of-its-kind effort that has resulted in the arrests of 20 suspects and nearly two dozen search warrants. Those arrested hail from all over Virginia and some have ties to international websites. Attorney General Ken Cuccinelli provided legal counsel during the week-long sting operation and says the difficult work was less tedious once the state’s two Internet Crimes Against Children Task Forces and other agencies collaborated for the first time. Virginia is moving into Phase Two of its Chesapeake restoration plan—as mandated by the federal government. This means that localities along the Chesapeake Bay watershed must have their own plans in place as required by the Environmental Protection Agency. Deputy Secretary Anthony Moore says the six states and District of Columbia in the Bay restoration project have been working on this for years. The EPA first mandated that they develop nitrogen, phosphorous, and sediment reduction goals. In Phase Two, localities must develop their own plans and will assess their progress in five years—when they must have achieved 60% of their goals. Virginia has provided tens of millions of dollars each year for this, and Moore was asked if Washington was doing its part. “We have made it clear that this is an unfunded mandate by the Federal Government and the Federal Government needs to continue to help us fund this program,” said Moore, who added that localities have also contributed for their regional benefits. Moore says soon they will conduct an analysis to determine the state’s return on its investment. He also says volunteer cleanup efforts contribute significantly and help mitigate costs to the state. In Richmond, House of Delegates and Senate budget conferees have resumed negotiations on their competing budgets and say they are actually close to agreement on many programs, such as higher education funding. Both budgets are in the $85-billion range. But House conferee Kirk Cox says the totals differ, and his team opposes the hundreds of millions in toll-relief for Northern Virginia and Hampton Roads. “They spend a lot more money than we have. From a macro-level, we have a lot less debt in our budget that they have. They have a lot more bonding. We just really feel like that’s a lot of bond money to buy down tolls—doesn’t make a lot of sense, the details of what other projects suffer because of that,” says Cox. Senators say the relief is badly needed and especially fitting for Hampton Roads, where tolls will begin before the construction does. They’ve also insisted on their restored safety net and cost of competing funds for both Medicaid and school support personnel.